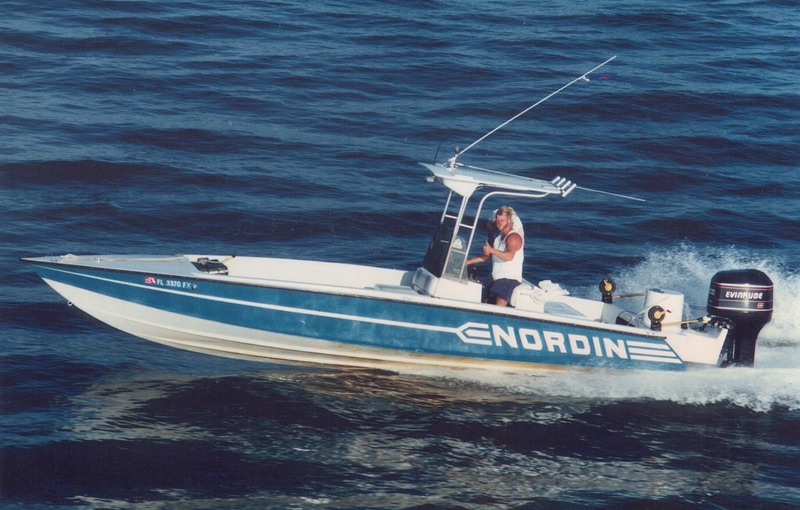 The 26' Nordin's advanced design combines the ultimate in fishability with more comfort, convenience, versatility than most boats in it's class. 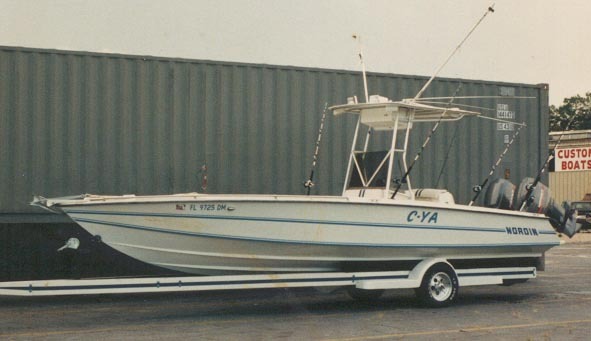 With options of a rear rocket bench seat, live wells, down riggers / out riggers, fish boxes, plus a wash - down/shower, for your fishing needs. These boats give you the speed you demand to get to those hot spots. With the draft on these boats there are not many places that you can't get into. Gaining fishing time , perhaps an hour or more each day - . You'll be the "first to the fish" and "last to leave" - You know that's important if you tourament fish. Nordin rides on top of rough seas for a safe ride - instead of "slugging it out" in the trenches, like a average production boat.